Jenica has a unique perspective here at Ascent Companies because she moonlights as a Recreational Therapist at Discovery Ranch. Originally from Idaho, Jenica enjoys a rich family life nearby. She graduated from Brigham Young University in Therapeutic Recreation and has been with Ascent Companies for almost a year. Jenica loves sports and being outside. 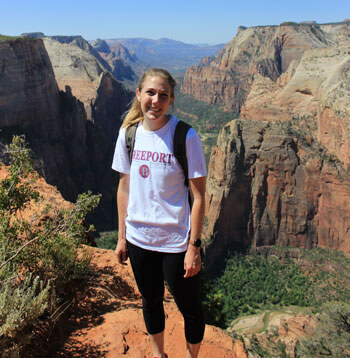 Her passions include basketball, racquetball, photography, hiking, and biking. Jenica has been really impressed with the culture here. She loves working for a company that cares just as much for their staff as they do their students. She loves being part of the outcomes we produce and working with students directly.